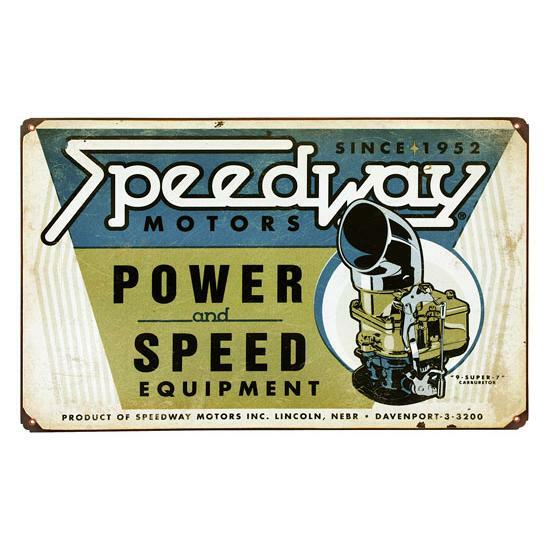 Cover those bare garage walls with our all-new, exclusive Speedway vintage tin signs! This sign is constructed from the finest materials, decorated with vibrant graphics by artist Jeff Karls, and then patinaed to perfection to give you that genuine-freshly "picked" from the barn feeling. This vintage metal sign measures 18" x 12".